Just right for quick use! 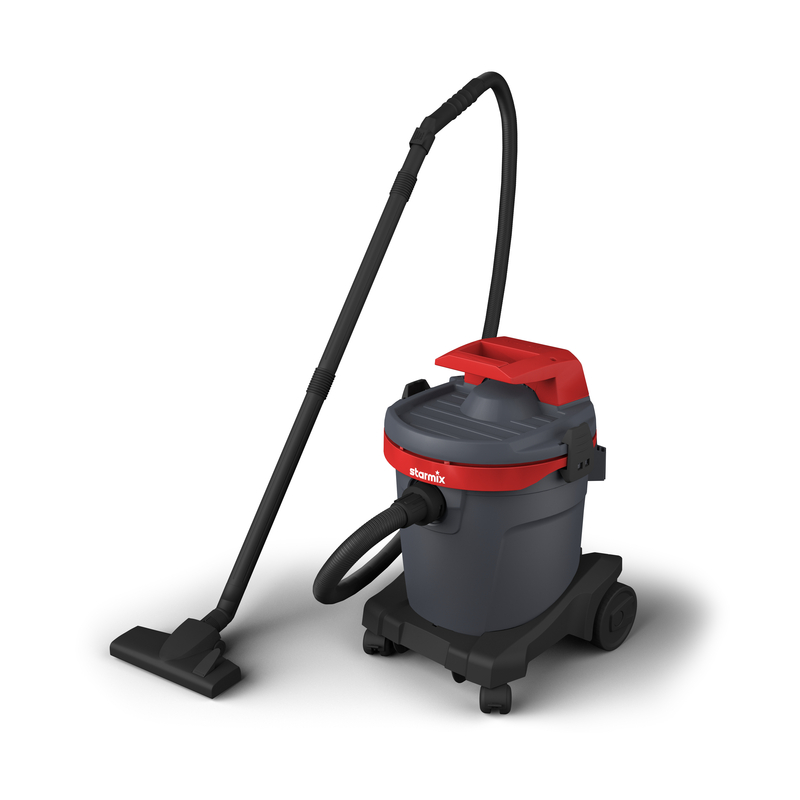 With practical accessories for cleaning work around the house, in the garage and at work. Optimised container with up to 10% more volume. 20l container with optimum gross/net ratio. The impact-resistant, robust construction is tuned to the field of application. Quick and easy to empty thanks to the smooth interior walls. Compact design, large surface area. Light, compact and agile - good to transport and stable to move. With practical detailed solutions such as the cable and hose coiling and connector fixture which are integrated into the carry handle. The upper surface of the container offers lots of room for storing tools and auxiliary devices. Accessory compartment with 6 holding positions. All models have an accessory compartment for storing all accessories during work and transport. The low centre of gravity of the container provides perfect stability. The built-in ramp makes it easier to move over obstacles. A red mains cable offers protection against tripping.